Alright, let’s do this one first and at least then it’s out of the way and we can all move on. The new Star Wars movie had its first trailer drop this week, and with it came the revelation that the title will be (drum roll, please)… The Rise of Skywalker. Now, if you’re sat there scratching your head and wondering what that’s supposed to mean well, you’re not the only one. I mean, it’s a bad title, right? I suppose it does kind of fit with the previous trilogy closers, but not really. And it just sounds awkward to me. Of Skywalker. That doesn’t sound the way you would actually say that. It’s dumb. But, then, that might be pretty in keeping with this new trilogy (oooo, sick burn). I’m going to be honest, I’m really not all that keen on this one. I mean, look, I’ll be there, first showing first day, as I always am, because I’m a consumer and a sucker for “event” movies, but ultimately I can’t help escape the feeling that basically everything I dislike about this new trilogy is going to be present within this final instalment. J J Abrams rehashed A New Hope, with traces of Empire, with The Force Awakens, and that move doesn’t really do a lot for me. Bringing him back for… ugh, The Rise of Skywalker seems like a step backwards in my eyes. Say what you want about Rian Johnson’s The Last Jedi, but when all is said and done, he delivered a movie that expanded the universe and gave us things we’d never see before. And that’s more than J J Abrams’ entire filmography can offer. Maybe I’m wrong, and I sincerely hope I am, but the title and the director don’t have me optimistic. This feels like it’ll be dragging the franchise back into a poor imitation of the originals rather than delivering on that new and exciting world they promised us to begin with. C’mon, Disney! Pack in the Episodes altogether and just give us the anthology outings. I want an R rated, David Fincher director horror/thriller set in the Star Wars universe, Goddammit! Anyway, there’s other news this week, and while I could go on about Star Wars till the lactating space-cows come home, I won’t. So, what else do we got? Well, this week saw the announcement that Dave Bautista will be joining Zack Snyder’s upcoming Netflix zombie movie, Army of the Dead. If you haven’t heard about Snyder’s new zombie movie yet then buckle up while I give you some background. Snyder may now be most well known as the man who destroyed the DCEU, but he is also actually an okay director, believe it or not. It seems to me his problem has always been in his poor judgement on writing. He’s a great visual artist. And this is evident in his first film, the James Gunn penned Dawn of the Dead, which starred Ving Rhames and is awesome. He followed that up with the live-action comic book 300, which is also pretty good. And let’s not forget he’s also the man who brought us the not-terrible Watchmen adaptation. Anyway, he’s returning to the zombie genre with the Netflix produced Army of the Dead, which sounds like a cross between every zombie movie ever and Escape from New York, and, quite frankly, sounds totally awesome. 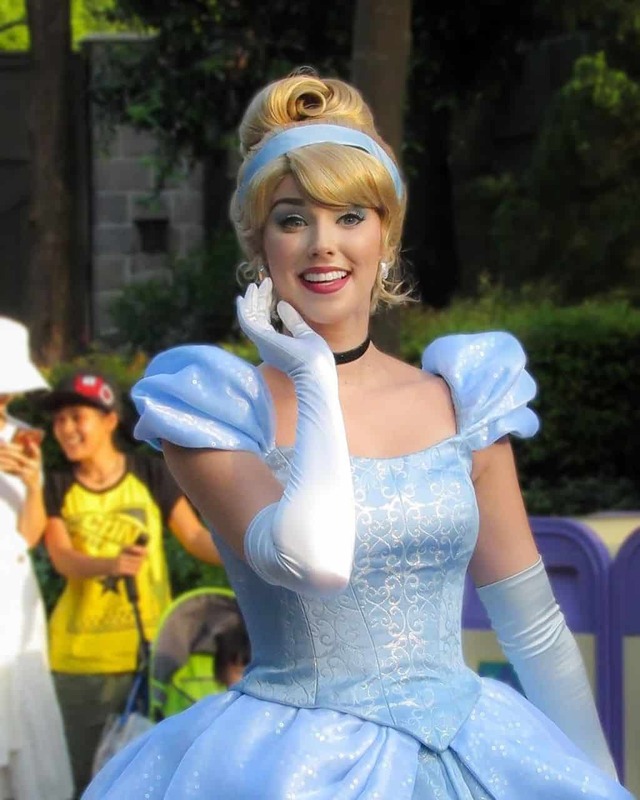 Assuming you hate yourself, and fancy following the movie version of stabbing your own eyes repeatedly with a fork, you might very well be interested to know that Sony Pictures are currently in the process of developing their very own live-action Cinderella movie, based on a story idea from none other than James Corden. Presumably Sony felt like they’d not made enough bad decisions recently and so gave Corden a call. Personally, I hate James Corden and he spoils everything he’s in (Ocean’s Eight was a pretty good movie till he showed up… I still haven’t finished it), but if you are interested then you may also like to know that the star of this thing will be singer-songwriter Camila Cabello, who will also take an active role in the music, as the retelling will be a musical. The film is reportedly going to be writer and directed by Kay Cannon, who made her feature film debut last year with the surprisingly fun Blockers. Still, I’m avoiding this one like the plague. Perhaps the most curious news of the week, though, came in the form of a sequel announcement. Last years Tomb Raider reboot, starring Alicia Vikanda, has the unenviable task of opening alongside the record-breaking, world-changing, historically significant Black Panther, and as a result sort of got lost in the hype surrounding that film. It did okay with critics, with consensus being that it wasn’t bad, but it wasn’t breaking the mould either. Most people likely forgot all about it, but it turns out MGM haven’t, and they are now developing a sequel, which will be written by, of all people, Amy Jump. Jump is a regular collaborator of British director Ben Wheatley, having worked on several of his films, including the surreal A Field in England, the insane High Rise and the utterly ridiculous and outstandingly fun Free Fire. I’m going to be honest; her involvement here has piqued my interest enough that I will likely follow developments on this one. So, here’s hoping James Corden doesn’t manage to worm his way in somehow.